The question pushed back is always expected , particularly from companies that don’t engage in Entertainment Marketing. 2/3’s of US/Canada pop. go to the movies!! Box office it reaching 50B globally soon. Attendance for Movies is bigger than theme parks, sporting events and concerts for almost 2B in total for all. 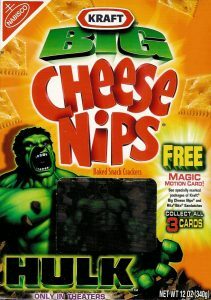 Ages 12-39 consume 55% of movie goers!! Millennials love Movies. 47% of visits by Millennials under 25 attend opening weekends and see 6.2 movies per year. Millennials over 30 spend more $ at the movies than any other segment. Hispanics are the most avid moviegoers in America!! They see 8.7 movies per year and they talk about the content and promotions 26% more than non-hispanics ! Bottom line is consumers will buy 5% more product when tied to movie or character. Haaseline Entertainment works with studio’s to create One of a Kind programs that generate over the top shopper interaction with the program. Haaseline Entertainment feeling a bit nostalgic today with "Snack Back in Time" on the Promotion Menu!! 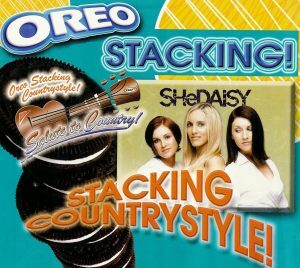 Haaseline Entertainment’s Oreo stacking not only grew consumption but got fanatics to buy the product to play with!!!! When the program was integrated with entertainment, the program sky rocketed into the best Retailtainment model still quoted by Wal-Mart Stores!! Contact us on how to get started! !